Susan Kosar Beery ("100 Suburbs in Search of a City" and linking introductions) is a freelance writer/producer in television advertising and promotion. She has produced national campaigns for CBS and FOX, and marketing videos for The Discovery Channel. While on staff as CBS, she wrote and produced the national on-air campaign for the original premiere of Murder, She Wrote. In addition, Susan has dabbled as a segment director on Hard Copy. She is part of the Sisters in Crime/L.A. 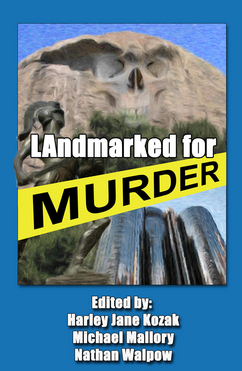 team who originated this new anthology, LAndmarked for Murder, and is currently writing her first mystery novel, The Rosary Maya.